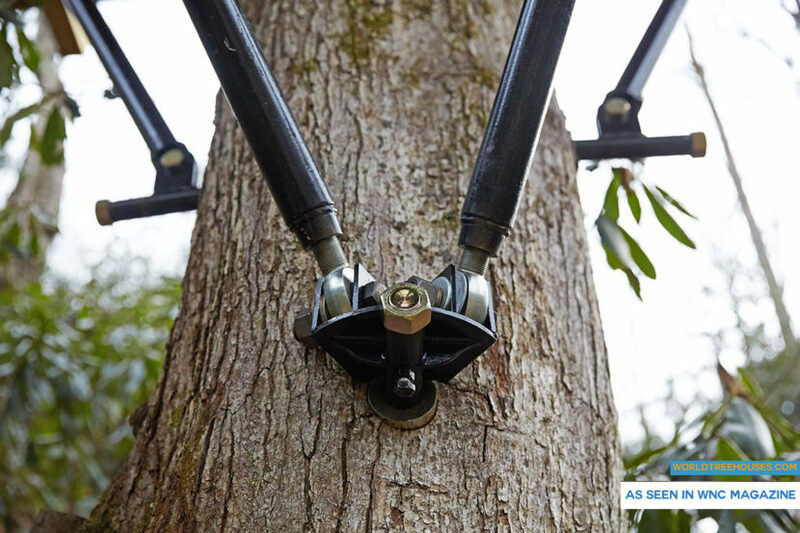 WNC treehouse builders : A Nest in the Trees! 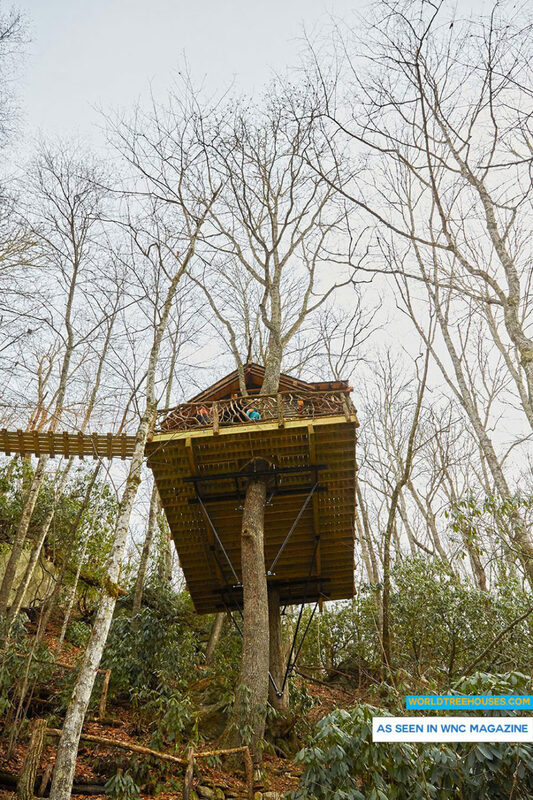 The owners of Asheville-based World Treehouses’ latest project can journey across their suspension bridge from their existing home into their new nest in the trees! 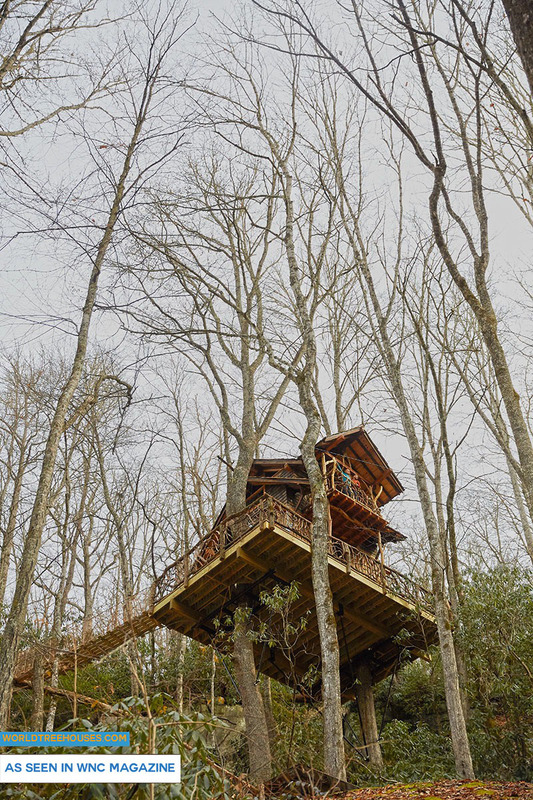 View more photos of this western North Carolina treehouse in the Panthertown wilderness. We’ll be posting many more photos in the upcoming weeks. View our blog for even more. 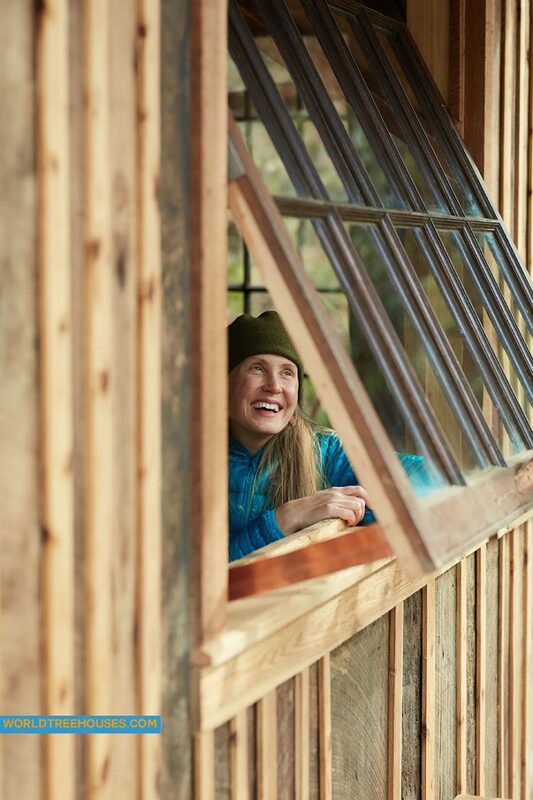 The mountains of North Carolina are a perfect place for your tree house. 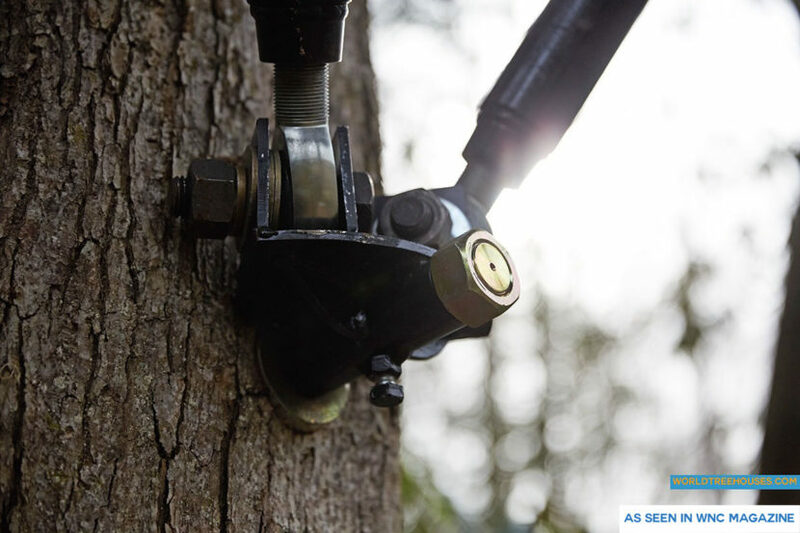 World Treehouses is an Asheville-based builder of treehouses, tree platforms, rope and suspension bridges, and other tree-centered projects. Want a tree house in the Asheville NC area or beyond? Get in touch. WNC treehouse builder : A View from the Sky Can you see us high up in the sky on the second floor of our latest treehouse? World Treehouses owner, Adam Laufer, and outreach coordinator, Erin Everett, are 40 feet up behind the custom branch railing of the balcony, looking out on the wintery paradise of the Panthertown Wilderness area in WNC. Want your own treehouse retreat? Contact us! 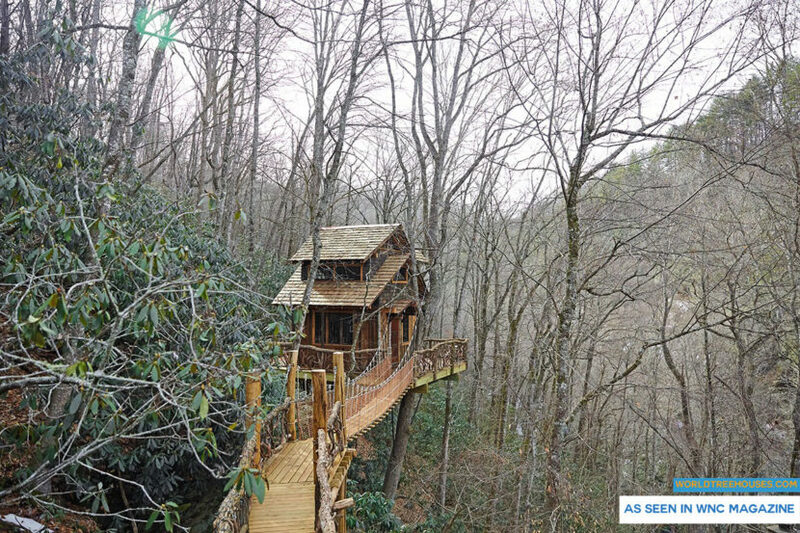 View more photos of this western North Carolina treehouse in the Panthertown wilderness. We’ll be posting many more photos in the upcoming weeks. View our blog for even more. The mountains of North Carolina are a perfect place for your tree house. World Treehouses is an Asheville-based builder of treehouses, tree platforms, rope and suspension bridges, and other tree-centered projects. Want a tree house in the Asheville NC area or beyond? Get in touch. 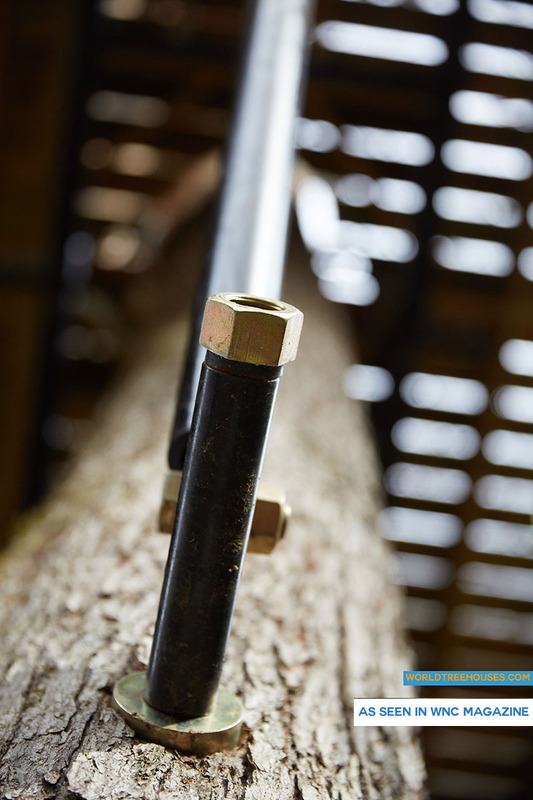 NC treehouse builders : Panthertown treehouse mountain laurel railing Crafting and weaving mountain laurel railings is one of our many specialties! 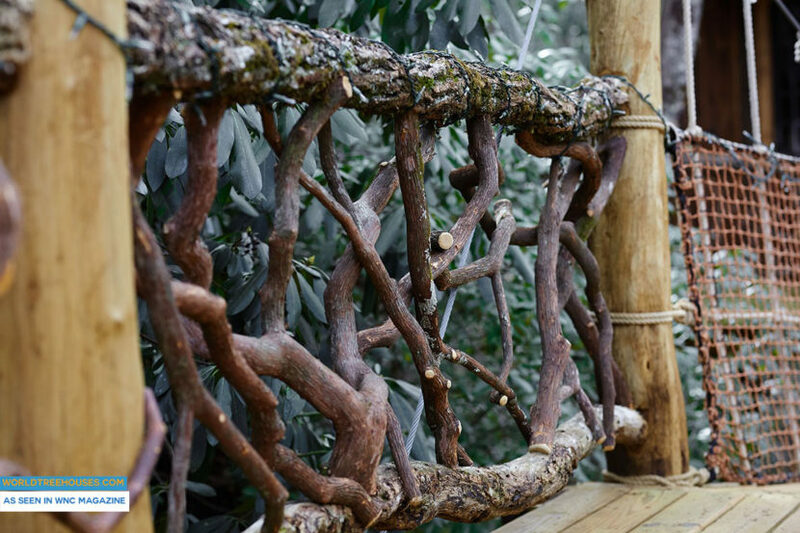 For some treehouse designs, these woven branches are just the thing to add texture and interest to decks and bridges. 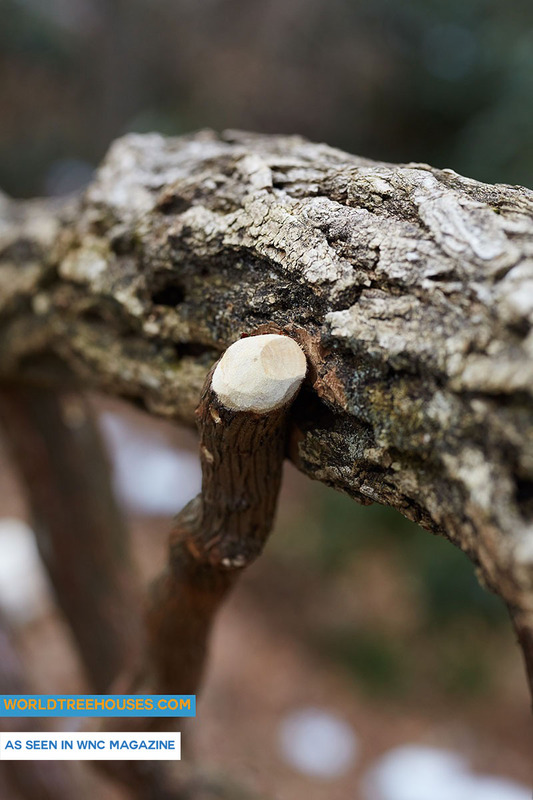 Sometimes harvested from the same land we’re building the project on, mountain laurel’s chocolate-brown, twisted appearance helps enhance the experience of being part of the forest when you’re enjoying one of our treehouses! 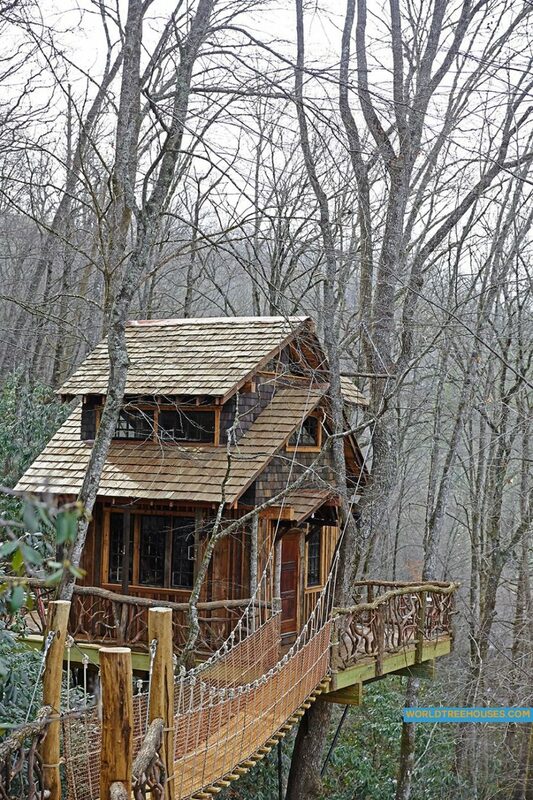 View more photos of this western North Carolina treehouse in the Panthertown wilderness. We’ll be posting many more photos in the upcoming weeks. View our blog for even more. The mountains of North Carolina are a perfect place for your tree house. World Treehouses is an Asheville-based builder of treehouses, tree platforms, rope and suspension bridges, and other tree-centered projects. Want a tree house in the Asheville NC area or beyond? Get in touch.